Bridging the gaps: Federation LGBTQ program provides Pathways to leadership – J. Bay Area social worker Dara Papo had long felt strongly connected to her political and civic work as an out lesbian in the LGBTQ community. But they were wrong. Papo supports Israel, and though her feelings are often nuanced, she rejects the “Israel is bad” position as too black-and-white. These episodes left Papo feeling alienated and disconnected and reinforced in her a sense that she needed to find ways to bridge her LGBTQ and Jewish identities, because she was beginning to experience a fissure between the two. Several years ago, when she turned 40, she had an opportunity to do so. That’s when the S.F.-based Jewish Community Federation and Endowment Fund started the LGBTQ Pathways to Leadership Program. It would bring together Papo and other early- to mid-career LGBTQ Jews who wanted to serve their various communities through a lens filtered and informed by both Jewish tradition and queer sensibility. The participants, mostly in their 30s and 40s, came from any number of communities: queer, Jewish, professional, political, civic and cultural. Meeting once every six weeks over a 10-month period, they got an opportunity to learn directly from veterans of the Bay Area Jewish and LGBT scenes about what had come before: the history of the Jewish community, the history of the LGBT community and how the two Bay Area communities often intersected. During the 2½-hour sessions, Pathways also provided pragmatic, hands-on skills for working professionals: What are the roles of board members? How do you deal with conflict in the workplace? How do you build consensus? The program has completed two full cycles and is now in the final few weeks of an offshoot called Circuits, a monthly meeting at which participants and community leaders focus on issues of the day in the LGBTQ and Jewish communities. In all, about 30 LGBTQ Jews have participated. For Papo, Pathways proved to be the right portal through which she could express her lesbian and Jewish identities together — and feel validated in doing so. That means, she added, that she is less intimidated about sharing her views about Israel — namely, that she supports a safe and secure Israel’s right to exist, just as she supports the Palestinians’ right to a homeland. “I haven’t changed any minds and hearts,” she said, but that was never the point. The point, she added, was feeling more comfortable in her shoes — her Jewish shoes, as well as her as LGBTQ shoes. Papo’s Pathways experience elates Katherine Tick, the Federation’s director of leadership development who worked with community leaders on developing the program for 18 months before launching it in 2013. For a long time, Tick said, Federation leaders have wanted to find ways to bring more LGBTQ Jewish leaders to the table in the community. In doing some research in 2009-10, the Federation found that many local LGBTQ Jews didn’t understand the path that enabled people to get more involved and become community leaders. “We also wanted to get beyond tokenism,” she said, explaining that it wasn’t a matter of simply having one or two openly gay, lesbian or transgender Jews on a board or committee. “We wanted to reach out to the diversity of the [Jewish] community,” which includes approximately 36,000 LGBTQ Jews among the estimated 350,000 Jews in the Bay Area. 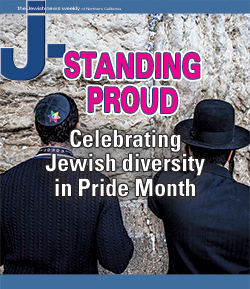 It is also critical, Tick said, for a younger generation of LGBTQ Jews to carry on the work of their elders. To run Pathways, the Alliance ended up partnering with two other LGBTQ Jewish organizations — A Wider Bridge and Keshet — along with Federation. Goldman considered it a triumph having both powerhouse agencies on board. 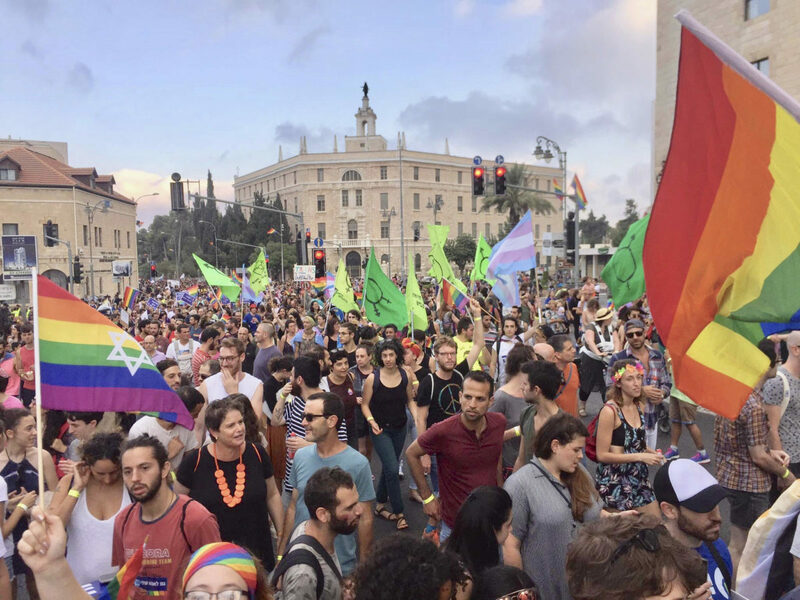 A Wider Bridge is a 6-year-old S.F.-based organization that seeks to build LGBTQ connections with Israel. Its founder and executive director is Slepian, a leader in Bay Area Jewish LGBTQ circles for 15 years, including three years as president of Congregation Sha’ar Zahav, San Francisco’s historically LGBTQ synagogue. Keshet, founded in Boston in 1996, is a national organization that works for full LGBTQ equality and inclusion in Jewish life. The agency now has an office in San Francisco. Rahel Smith, the outgoing director of finance and administration at Kevah, which provides structure and support for Jewish learning groups, was motivated to join Pathways because it allowed her “to connect with other Jews who hold both a Jewish and queer identity and were looking to be in leadership positions,” she said. Energized by these stories, Smith transitioned from Pathways to Circuits. 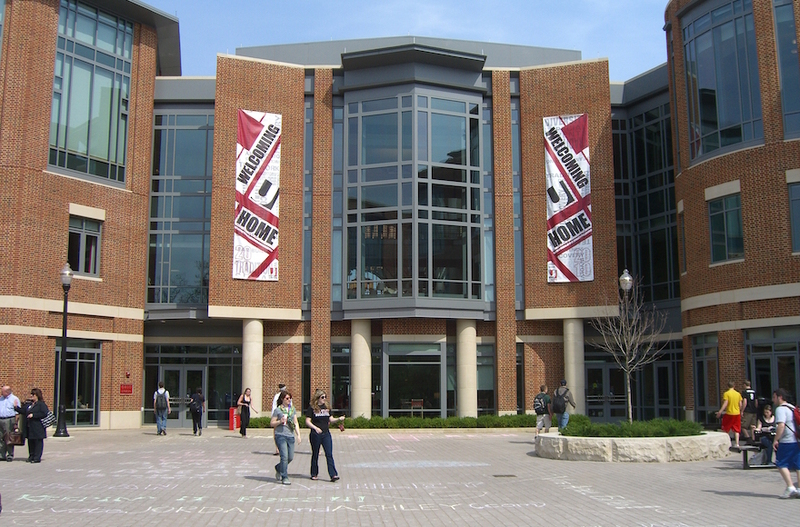 Thanks to both programs, she noted, she has been moved to play a more prominent role in other organizations. She now serves as president of the board at Or Zarua, a Reconstructionist havurah in the East Bay, and also sits on the board of the TLC Foundation for Body-Focused Repetitive Behaviors. Like Smith, Pathways participant Joe Goldman (no relation to Sam Goldman) has become more active in the lifeblood of the community. Since participating in Pathways during its inaugural year, Goldman has joined the board of the Jewish Film Institute in San Francisco. He said that even though he does not consider himself a movie maven, he was inspired when the JFI’s executive director, Lexi Leban, spoke at a Pathways meeting. “She owns her LGBT identity and her secular Jewish identity,” he said, citing her as a community role model. Goldman’s everyday job is as the public affairs and civic relations manager for the S.F.-based Jewish Community Relations Council. Papo, too, has since stepped up her civic involvement. She is now on the board of Keshet, and she has joined the Federation’s LGBT Alliance, on which she served for a year as co-chair with Sam Goldman. As for the Pathways program itself, it’s already finished and Circuits will conclude next month. Still, S.F.-based Federation officials insist that they are fully committed to ongoing leadership training for LGBTQ Jews in the community, adding that details of such programming will be released later this year. Moreover, the Pathways model could catch on in other cities around the country. 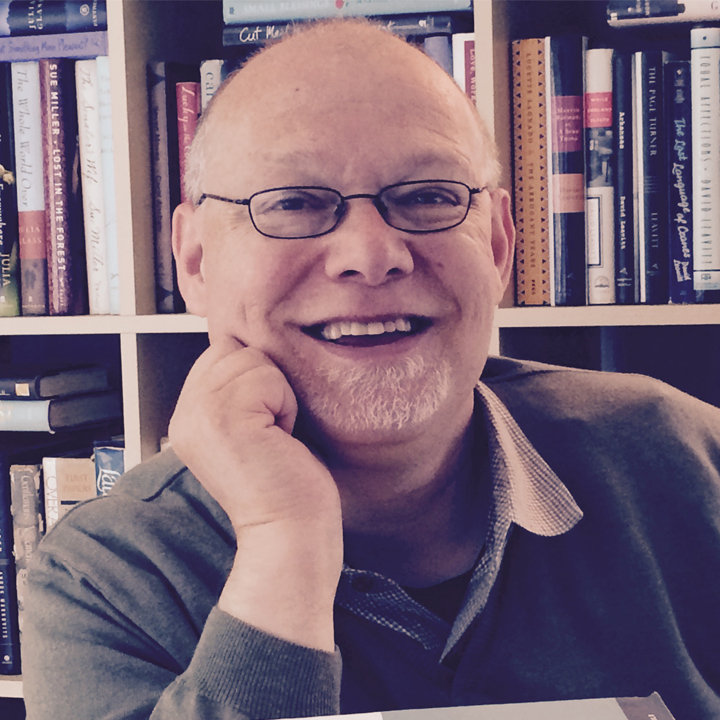 Robert Nagler Miller, a Phi Beta Kappa graduate of Wesleyan University, received his master's degree from Northwestern University's Medill School of Journalism. For more than 25 years, he worked as a writer and editor at a variety of nonprofits in the Los Angeles and Bay Areas. In 2016, he and his husband, Dr. Arnold Friedlander, relocated to Chicago. Robert loves schmoozing, noshing, kvetching, Scrabble, reading and NPR.